More and more Indians are opting for study abroad these days as it has better prospects and greater number of opportunities considering the future of the candidate. Choosing a country to study in and a program are the most crucial decisions the candidate has to take care of in order to avoid problems. Here Are Some Tips To Help You Avoid The Most Common Mistakes While Applying for Study Abroad. Students are in so much hurry to go abroad that often they ignore a lot of basic but crucial information related to the program they are applying for or the university or institution they would choose. Always prepare a set of questions pertaining to your areas of interests. Gather as much information as possible of the program you are applying for by asking these sample questions. Does this program have as much value it has in the host country as in any other country? What different contents are there for the same program in different institutions or universities? More than 70% of the applications are rejected because a student has failed to attach all the necessary documents with the application form. Make sure that you've filled all the necessary information in the form and also double check all the required documents that need to be sent with the application form. Prepare a check list to help you with this process. Ensure that all the documents and paperwork is in the format as expected by the institution/school. Don't forget to include your test scores and application fee. It has been widely observed that many students write an SOP and change the name of the college for different applications. You should always prepare a separate SOP for each institution you are planning to apply to and also make sure that the correct name appears in the essay wherever it is required. It will not look good at all if the admissions manager finds a different name of college in the application essay. Get your essays proofread by atleast 3-4 people before think about sending it to the institution. Rereading and rechecking can help you to avoid such a silly mistake. Most of the students are aware of the fact that falsifying qualification on the application is a serious offence, but still there are some who tend to falsify their grades in the application to get admitted to the desired university. 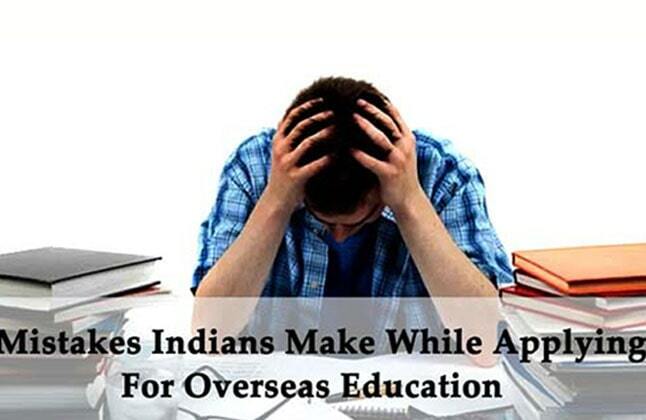 Fudging ones information while filing an application to study abroad should be avoided at all costs as it can ruin any reliable credibility the applicant may have, and possibly bar them from studying in a foreign country.